The Sandiganbayan First Division has affirmed its decision convicting businesswoman Janet Lim Napoles of plunder in the case involving former Senator Ramon “Bong” Revilla Jr. and the misuse of his priority development assistance fund (PDAF). Napoles and Revilla’s staff, Richard Cambe, were found guilty on December 7 for violating R.A. 7080, otherwise known as the plunder law. Revilla, on the other hand, was acquitted and released from detention. 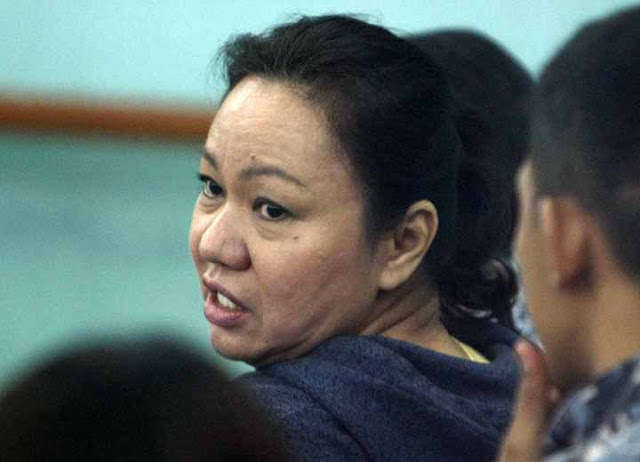 After being convicted, Napoles filed a motion for reconsideration and argued that the court’s decision is “shrouded with serious doubts” because it suggests that she – a private individual – is the main plunderer. She added that the prosecution’s evidence all point to Revilla as the main plunderer, but he was not convicted. Further, the decision “totally and fatally failed” to pinpoint whether she or Cambe was the main plunderer. However, the anti-graft court found Napoles’ arguments “baseless.” The charge sheet indicated that both Revilla and Cambe, as public officers, are being charged as main plunderers together with her. While the court did not find sufficient evidence to sentence Revilla as guilty, the same cannot be said of Napoles and Cambe. “The prosecution was able to prove in evidence that Napoles, although a private individual, not only deliberately performed acts that led to the series of misappropriation, conversion for private gain or misuse of government funds, specifically the PDAF of Revilla, but also took part in the conception or ‘planning’ of how to divert the PDAF for private gain,” the resolution read. Napoles even suggested that there is a possibility Cambe and her cousin, whistleblower Benhur Luy, conspired with each other to keep the ill-gotten wealth. But the court was not convinced. “A conspiracy between Cambe and Luy, to the exclusion of Napoles, could not be possible, because the non-government organizations (NGOs), through which the funds were diverted, were all creations of Napoles,” the resolution stated. But once again, the court refused to take her side because they were all “unified in their claims” that payments to Cambe were always under the instruction of Napoles. The conclusion to these testimonies is that Napoles acted in conspiracy with Cambe. “In sum, the totality of the evidence is sufficient to establish the guilt beyond reasonable doubt of Cambe and Napoles, and for this, the present motion for reconsideration must fail,” the court ruled. The 16-page resolution was penned by Associate Justice Geraldine Faith Econg with the concurrence of Chairperson Efren De La Cruz and Associate Justice Edgardo Caldona.